Grade 6 students at Colquitz middle school Sean George and Ethan Barwise peer through a holiday wreath they constructed from invasive species. Students will sell the wreaths Dec. 7 and 8 as part of the Junior Achievement retail skills program. 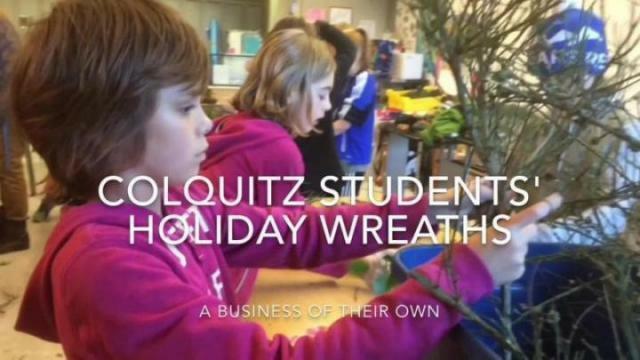 A class full of students stayed behind to build holiday wreaths at Colquitz middle school on a day when most of the rest of the school had already gone home. In true Saanich fashion, the wreaths are made of invasive species such as holly, English ivy, broom and teasel. The group of Grade 6 students, led by teacher Laura-Lyn Helton, made the wreaths as part of the Junior Achievement program called Business of Our Own. The wreaths will sell for about $10 to $15. Some are round, as per tradition, while others are in the shape of a candy cane. The Junior Achievement program is provided free of charge, organized in part by Junior Achievement B.C. regional manager Deborah Wakeham. Instruction and leadership is facilitated by active business professionals, and on this day, it was Sarah Scott of Saanich’s Gardenworks nursery on Blenkinsop Road. “For four weeks we’ve worked on this and the students can now integrate their business knowledge with the wreath making and this is for profit,” Scott said. The plan is to purchase fruit trees for a new garden at Colquitz, said Helton. The trees are approximately $35 each as a bare root seedling and the group hopes to buy four to six of them. There’s also the benefit of financial literacy for the students, said Helton, who’s running the program for the third straight year. Students collected the invasive plant materials at Cuthbert Holmes and Colquitz River Park. 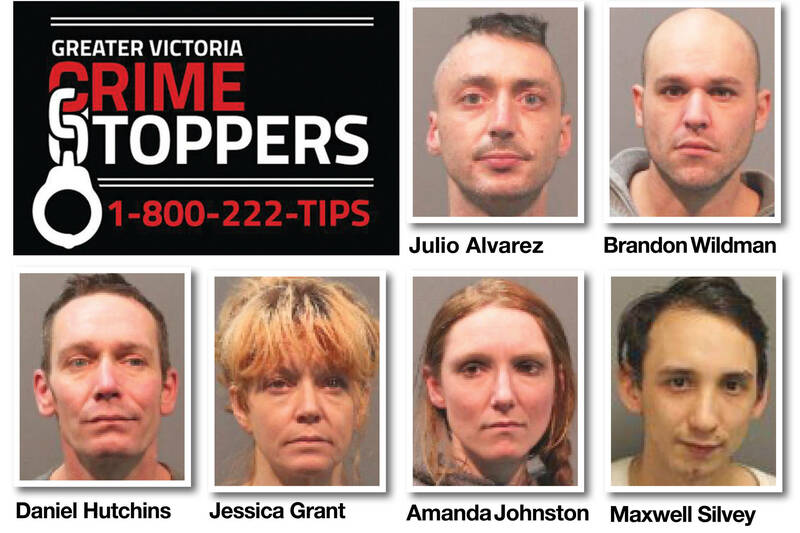 Some even came from their home yards. This act helps decrease plants which compete with local native plants. The only expense is a wire frame for each wreath, leaving about $5 to 7 profit per unit. Students are now organizing the promotion side, taking pre-orders, and will provide change and write receipts on sale days. The larger wreaths ($20) are available to the public this week, in the Colquitz school foyer from noon to 12:40 p.m. on Wednesday and Thursday.